Proctor Architects, LLC is a full service architectural design firm which focuses on quality, thoughtful design. We are dedicated to providing outstanding professional service and client satisfaction while in pursuit of creative architectural design solutions. We strive to make every collaboration creative, inspiring and rewarding for all parties involved. “Our philosophy is simple. For the home, we focus on good design, quality materials, fine craftsmanship, energy efficiency and lasting value. For the homeowner, we focus on listening to your needs; always being available; and saving you money without reducing quality.” Whether it is a new home, addition, new kitchen or bathroom, Sunrise Homes goal is to exceed your expectations. Every house and project is unique. One will never look like another. Each project reflects the client's goals guided and shaped into environments they love. Universal design benefits people of all ages and abilities. Precise space planning and progressive thinking assures the home will serve its owners in the present and will also grow with them into the future as the family and living needs change. Cost effective modifications can make your home more accessible and easier to be lived in and enjoyed by everyone who comes through the doors. Interior design for a well lived life means everything matters! Fletcher Cameron is a full service kitchen design company focused on modern aesthetics. Kitchens are where people gather, talk and express themselves. It is where thinking takes place. They need to be lively, fresh, beautiful, and most of all functional. Good things are expected to come out of kitchens--good food and good conversation. OUR DESIGN TEAM: Christine Ingraham, Principal cingraham@fletchercameron.com Gregory Spiggle, Principal gspiggle@fletchercameron.com Both of these talented designers have dedicated their lives to creating interesting and modern spaces--whether it be houses, kitchens, lighting, showrooms, or corporate lobbies. Receiving their MFA’s from Cranbrook Academy of Art and Yale University, respectively, they have won numerous awards for their work and continually devote their time to creating new and exciting products. The 2010 launch of their new modular cabinet system, BOX KITCHEN is one of their most ambitious. Both are very skilled at translating ideas into reality as well as organizing and visualizing spaces. They are visionary and productive. 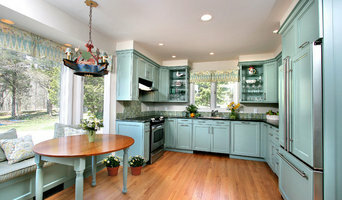 Connecticut Heritage Homes is a mid-sized Tolland County based company of responsible and meticulous professionals. Our craftsmen are quality oriented, highly skilled professionals who sincerely enjoy their work in the building trades. We are committed to providing the service and excellence that our customers expect and deserve. Home building is our pleasure, customer satisfaction is our reputation. When you build your dream home, it's important that it is an exciting, pleasurable, rewarding experience. Our philosophy is to build custom homes with the highest levels of consistent quality and superior service, with the goal of building long-term relationships with our customers. We believe that the best way to build custom homes is to treat each customer as an individual with unique tastes and style, but to give the same dedication and attention to detail that we would give to our own personal home. We are committed to searching out and using the best materials for each application. We also strive to learn about advances in building technology, and implement these practices on the job site. Our goal is to build custom homes that will last for generations of enjoyment. The builder you choose should be someone you not only trust, but someone with whom you are compatible. Their willingness and desire to attend to details, to communicate honestly with you and carefully explain each step of the process will go a long way to avert problems down the road. Take the time to interview past clients. Find out about the quality of construction, and especially the level of satisfaction they experienced with their follow up process. When the home was finished, did the builder respond in a timely and courteous manner to their requests to meet their needs after they moved in. The years of attention to detail are evident in our projects. Bids are accurate and our customers do not experience the "surprise" ending that has tainted the reputation of many home builders through the years. 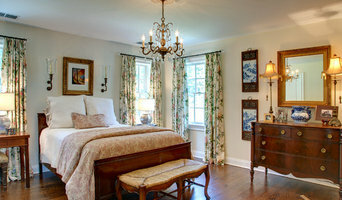 We are licensed, insured and dedicated to providing excellence in residential home building. Our modern, transparent approach to your home remodeling project guarantees a valued engineering design up to the latest eco-standards with wholesale rates on construction materials, fixtures, tiles and more. The design process is a fusion between the practical, beautiful, and affordable. With over 35 years of experience, our home remodel design team has accumulated a portfolio of projects that extend from the French Riviera to the New York, Westchester and Connecticut tri-state area. These projects include kitchen remodeling, bathroom remodeling, eco-friendly systems and custom-built cabinetry projects. L'Architecte travaille avec un réseau d'entreprises locales spécialisées afin de limiter les frais généraux. Notre approche apporte au Client expertise et maîtrise d'oeuvre architecturale, avec le choix adéquat de la meilleure entreprise locale. Le client bénéficie ainsi d'un coût fixe avec suivi en ligne du projet et de la construction. Notre approche est basée sur l'analyse des coûts de construction avec le meilleur projet architectural envisageable. Our company is built on the principles of producing quality products and providing reliable design and construction services. Our diversified product range continues to grow by following trends, improving our standard products, and listening to the customer. Our unique service has established our place in this industry. This allows us to make a distinctive and substantial impact for our clients. 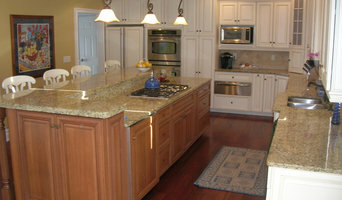 Doski Building and Remodeling has been serving the Fairfield county area since 1979. We have an interior designer - Linda DeSilva on staff to assist with client selections as well as space planing, color selections, 3d design imaging, and complete project management. We use high quality and reliable products you can count on. In addition, our friendly and professional staff is here to answer any questions you may have. Whether you need a complete design work up, or just a question answered, we have what you need at prices you can afford. At Doski Building and Remodeling our goal is to provide you with courteous, expedient, professional service. In these tumultuous times, our clients are calling on us to examine the work from exacting points of view. Issues of overall building size, efficient use of space, energy and materials are of principal importance. We have found that by spending slightly more of our budgets on the sophistication of the building envelope, the windows, the construction methods, the insulation and the detailing, we can radically reduce the amount of energy required to condition spaces. Clients have always come to us with an appreciation of the beauty of what we do. Now we can offer another layer in the capacity of architecture to influence the quality of our lives. Coupling efficiency with architectural presence would very well describe what our work has become. Kling Brothers Builders LLC., is a family owned and operated business serving Fairfield County, CT and Westchester County, NY for over 30 years. 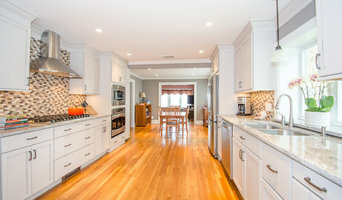 Kling Brothers Builders LLC., has completed numerous residential and commercial projects including: custom built homes, custom additions and alterations, kitchen and bath remodeling, restoration and repair of antique homes and structures, custom office spaces, custom retail spaces, store fronts, hair salon spaces and many others. Kling Brothers also offers both residential and commercial property management services, as well as a Small Jobs and Repair Division made up of highly trained and state certified Carpenters that can handle any repair. We have built an exclusive team of trade professionals which includes electrical, heating & cooling, plumbing, masonry and painting experts. All our projects demonstrate a focus on attention to detail, high quality workmanship and a strong work ethic. We believe this approach delivers the highest quality results, exceptional service and a level of comfort to our customers during any construction or repair project.